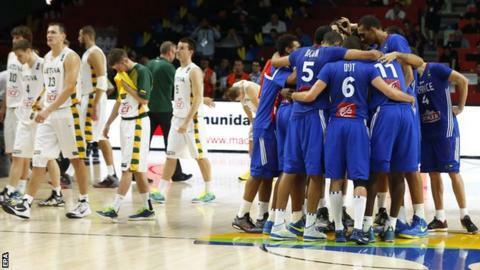 France secured the bronze medal at the Basketball World Cup after narrowly beating Lithuania 95-93 in the third place play-off match in Madrid. European champions France, who lost to Serbia in Friday's semi-final, had to come from behind after Lithuania had led 71-64 after the third quarter. France's Nicolas Batum led all scorers with 27 points, while Jonas Valanciunas replied with 25 points for Lithuania. Serbia face defending champions United States in Sunday's final.